“These grants are helping a large number of innovative companies that produce world-leading, high-value products and high-quality jobs..."
New Research and Development (R&D) Growth Grants expected to be worth more than $32 million over three years have been awarded to another 22 high tech companies by Callaghan Innovation. Science and Innovation Minister Steven Joyce says R&D Growth Grants provide 20 per cent public co-funding for qualifying firms’ eligible R&D expenditure, with an expanded cap of $5 million a year - up from the previous scheme’s $2.4 million. “These grants are helping a large number of innovative companies that produce world-leading, high-value products and high-quality jobs for New Zealanders to invest even more in innovation, boost growth and increase exports,” Joyce says. Growth Grants are determined on an objective basis by application to Callaghan Innovation. 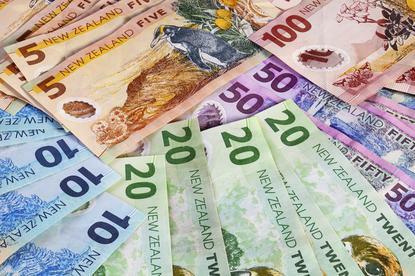 To qualify for a Growth Grant, a business needs to commit to spend at least $300,000, and at least 1.5 per cent of revenue per year on quality R&D occurring in New Zealand. The Grants are for three years, but after two years, businesses can be granted a further two-year extension of funding. Some of the latest companies to be approved for R&D Growth Grants include Serko, GeoOP and Vadacom, with businesses covering a wide range of industries, from aviation and audio to horticulture and online travel software. These latest grants mean 110 high tech companies have been awarded Growth Grants worth an estimated $292 million (excl. GST) over three years since the grants were introduced last year. Callaghan Innovation also operates R&D Project grants for smaller companies and those that are new to research and development, and R&D Student grants to give graduates the opportunity to work in innovative companies. Since February last year, Joyce says the Callaghan Innovation has approved funding across all three programmes for 832 different high tech companies. The Callaghan Innovation R&D grants system was announced in Budget 2013, replacing and expanding an earlier programme. A total of $566 million is available over four years to encourage the development of a strong R&D ecosystem in the New Zealand economy, and support the development of industries such as ICT and high tech manufacturing.